We typically do not consider water to even be a chemical, but it contains two hydrogens and one oxygen in each molecule. Within the matrix of water, a whole host of dissolved gases, suspended particles, additional chemicals, single-celled organisms and multi-celled organisms exist. With water being polar with both a positive hydrogen end and negatively charged oxygen side, there is a slight electronegative overall chemical charge for the molecule. That coincidence has allowed water to be essential to life in many ways. It fills the earth with the hydrological cycle. In many parts of the world, water becomes polluted. Water acts as a solvent to easily absorb chemicals and pollutants. When a molecule such as water takes in extra substances, the bonding of water surrounds the chemicals and incorporates them into the matrix. Pollutants remain in water indefinitely until chemical purification processes removes them. 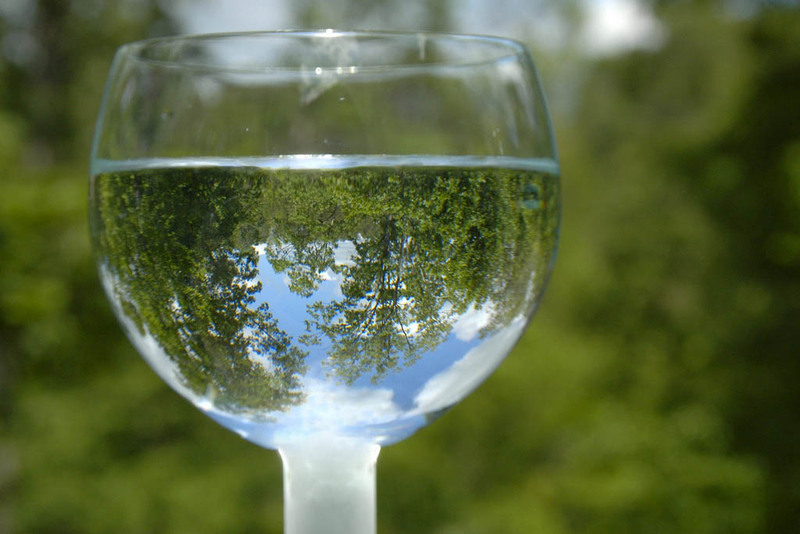 Much of water purification can be completed through filters, coagulation and flocculation. At the public level of chemical purification, water treatment facilities process thousands of gallons of water every hour in major towns and cities around the world. Many of the processes are chemically complex through step-wise procedures. Coagulation is the process by which Iron (Fe2+, Fe3+ ,Fe2(SO4)3—Ferric Sulfate, FeSO4 –Ferrous Sulfate, FeCl3 –Ferric Chloride, or ClFeO4S – Ferric Chloride Sulfate ) or Aluminum (Al3+ , Al2(SO4)3 –Aluminum Sulfate, AlCl3 – Aluminum Chloride or NaAlO2 –Sodium Aluminate ) metals split water molecules by hydrolysis. This suspends many dissolved substance into the water column for the next round of treatment. Additional coagulants can be used and added to ensure proper pH and function differently in various water temperatures. Arsenic, Copper, Mercury, Phosphorus and Fluoride pollutants can be reduced in wastewater. Subsequent treatments and coagulants may be required to further reduce the quantities. A surprising side-effect of coagulation is the remainder of iron or aluminum in the treated water. Those are monitored and removed later. Flocculation is the method by which suspended particles are rapidly mixed and combine together in large clumps or floc. The positive or negative charges act magnetically with the opposite charges instantly forming bonds. You might be thinking that this is the complete opposite to coagulation. Why would facilities want the removed chemicals to recombine again? Well, the floc can either float on top of the water or sink to the bottom of the tanks as sludge. The liquid water surrounding the floc is now rid of many pollutants and waste. The top layer can be sifted off for removal. As the water drains and then is transported to the next step, the sludge remains to have its own disposal. Sediments and particulates sink downward from the water column as the flocculated water settles. When the first drop of water enters the water treatment facility, it pass through the first large screen to remove residual organisms and large items. Sand, charcoal and activated carbon filters transform large amounts of water quickly. Since these media are porous, water flows through them easily. Any bulky particulate or large compound gets caught up in the granules and is stripped from the water. The outward flow of water from these filters is cleaner. Just like any filter in technology, they do need to be replaced once they become fully saturated with solids or pollutants. If the filters reach capacity, they cease to remove unwanted chemicals such as Nitrogen, Nitrates, Heavy Metals and Phosphorus. Each additional filter used acts as tertiary and quaternary treatment. The more filtration that occurs, the better the taste, reduction of odor, purity and organism removal with water clarity. The potential downside to microfiltration and ultrafiltration is that water naturally becomes soft water (or reduction of calcium or magnesium ions). Disinfection is most likely the last main step and this removes any harmful microorganisms that may still exist in the water. Sodium hypochlorite NaClO or Chloramine NH2Cl can kill off many microbes. The unfortunate side effect is that Chlorine byproducts are likely produced. These stay in the treated water indefinitely. Ozone Disinfection uses the O3 gas that destroys pathogens. One downside to Ozone is that it can react negatively with Bromide in the water to create Bromate. Ultraviolet disinfection can also be utilized to further remove any remaining pathogens. Chemical purification of water is extremely complex. As water becomes less and less pure, more strategies and treatment methods are required.